Football news: Van Gaal to take his time in transfer market. Van Gaal to take his time in transfer market. 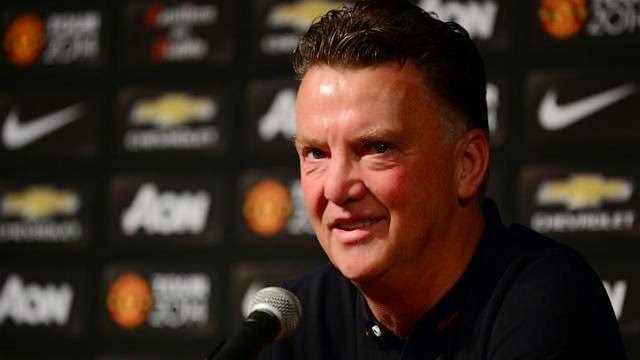 Manchester United manager Louis Van Gaal will not rush to buy players. Van Gaal insist he will take his time in transfer market. Assessing his squad Van Gaal said:"I didn't buy players for the sake of it.I buy players to improve my selection". "First i must see what i need in all the positions from the system we shall play and, at this moment, i don't know for sure". In Man Utd opening two matches at their pre-season tour, Van Gaal has opted to use tactics best suited for players at his disposal, and that has worked perfectly. Talking about the tactics he has used in his pre-season match, and with many questions on how Rooney, Mata and Van Persie can all fit into thesame United XI. He said:"That's why i choose this system, i can play them all.But Hernandez can play also in the striker's position, so can welbeck. "Rooney can play at No. 10 and No. 9 and he tells me he can also play at No. 11 and No. 7 but i prefer him at No. 9. "When you look at the quality of your players, you see Rooney, Van Persie, Hernandez, Mata, Welbeck, Fellaini, Herrera, a lot of players can play this system. "So with this system, two strikers can play, the No. 10 can play, two midfielders can play, so the specialist become the wing-back. It might be the early days and not yet the start of the season but new manager Louis Van Gaal is beginning to impress.